Written by Dr. Bart Schmitt, this online symptom checker contains over 125 articles that are updated and peer reviewed annually by pediatricians around the country. Parents have expressed a high level of satisfaction with this content and doctors have told us that parents have chosen their practice because this medical information was on their pediatric website. This content also includes articles about Breastfeeding, Teens, Medical Conditions, Newborns and Medication Dosages. Why should I have content on my pediatric website? When our founding physicians put a symptom checker on their website 17 year ago, little did they know that patients would be referring the site to their friends and relatives across the nation. Soon, they were getting calls from primary care physicians asking how they could get the Is Your Child Sick? and Are Your Sick? medical content for their own site. Subsequently, our company was born…. 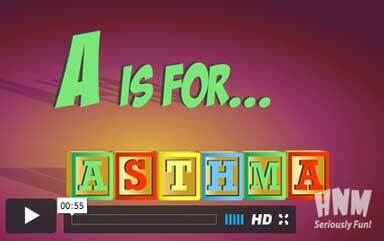 Your young patients will love these animated videos which help kids learn about their illnesses and procedures. Our partner, Health Nuts Media, has collaborated with us to bring you engaging content about asthma, diabetes, URI’s, strep throat, and multiple medical procedures and surgeries. Written by Dr. David Thompson, this online symptom checker answers many of the questions that your adult patients may have when they are ill. Family Practices and multi-specialty clinics can receive the adult and pediatric symptom checkers in our Essential Content Package.